A slew of misinformation about whistleblowing erupted following the arrest of Julian Assange, the Wikileaks publisher. 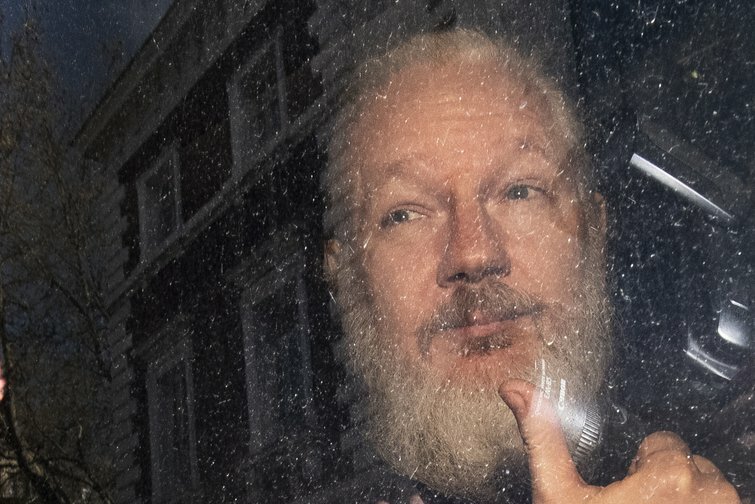 Some politicians rushed to defend Assange as a ‘whistleblower’ – but many of these have done very little to ensure that less high-profile UK whistleblowers have legal protection. They do a disservice to UK whistleblowers by claiming, in the context of requests to extradite Assange, that “in this country we have protection for whistleblowers”. The UK Public Interest Disclosure Act 1998 (PIDA) defines a whistleblower as a worker who raises certain concerns in the public interest. A ‘worker’ in this sense, based on evolving case law and amendments to the legislation, can include an employee, contractor, trainee or agency worker or a limited liability partner. There is a defined range of disclosures on serious matters, that qualify for coverage under PIDA. PIDA requires that concerns are raised in a reasonable manner, with proportionate escalation. Direct disclosure into the public domain is not encouraged save for exceptional circumstances, and the legal hurdle for such disclosures is higher. In reality PIDA is very weak and invites additional whistleblower victimisation by employers during the legal process. To illustrate, Peter Duffy, surgeon and unfairly dismissed NHS whistleblower, has given a clear account of a typical whistleblower’s journey through the UK courts. The central and most shocking weakness of PIDA is that it does not compel anyone to respond appropriately to whistleblowers’ concerns or to investigate them. This drives the focus away from the public interest, and towards secondary employment disputes. This creates a negative narrative of conflict and disruption, whilst the public service that whistleblowers have performed is side lined and forgotten. Contrary to the UK government’s claims of legal protection for whistleblowers, PIDA does not confer a legal duty on anyone to protect whistleblowers. Whistleblowers can only take legal action after they have been harmed. The potential remedy on offer is merely financial and may not even cover legal costs. Neither does PIDA hold to account senior managers responsible for orchestrating or allowing whistleblower suppression and reprisal. Any compensation ordered by the Court – which is usually inadequate for loss of livelihood and blacklisting – is paid by organisations that can afford the minor loss. Thus there is no personal liability for serious cover-ups, and no meaningful deterrent against corruption. The consequences of poor whistleblowing governance can be catastrophic. Whistleblowers at Gosport War Memorial Hospital who raised concerns almost 30 years ago about unjustified, lethal use of opiates were ignored, intimidated and ultimately silenced. An opportunity was missed to prevent hundreds of unnatural, opiate related deaths, as found last year by the Gosport Independent Panel investigation. One would think that both ethically and pragmatically, it would make sense to ensure that whistleblowers’ concerns are acted upon. However, despite criticisms of PIDA’s weakness from an early stage, successive governments have only allowed minor adjustments to the Act and not the sweeping reform needed to safeguard the public. Why is that? Inertia may be a factor. However, with very honourable exceptions, the self-interest of some politicians may play a part. Whistleblowers are a threat to the powerful. They can embarrass governments by revealing failures of policy, maladministration and failure to deliver on political promises. Politicians in opposition may look to the day when they will be in power and decide against protecting whistleblowers, who may eventually threaten their grip on power. Speak to whistleblowers and you will hear many tales of political indifference, deflection and interference. Caroline Dinenage, MP for Gosport, is answerable to constituents who lost loved ones in the Gosport disaster. But she is also a Minister at the Department of Health and Social Care. She has made dubious claims that more action has been taken regarding whistleblowers’ concerns, for which no substantiation has yet been provided. Instead, her Department and the NHS National Guardian’s Office for whistleblowing have worked together on a “positive narrative” about Gosport. Sarah Wollaston, MP and chair of Health and Social Care Committee, has not held a follow up hearing on NHS whistleblowing, to check if her Committee’s recommendations from four years ago have been implemented. This is despite repeated requests. The leader of the opposition, Jeremy Corbyn, says that his policies are driven by the interests of “the many, not the few”. I wrote to him in 2016 about the serious flaws of the National Guardian’s Office and the central need to ensure proper handling of whistleblowers’ concerns. I received only a letter stating that my request had been noted and a spiel about the virtues of Labour’s manifesto. I did not receive any follow up enquiries or see evidence of any action. The NHS National Guardian has refused to support reform of UK whistleblowing law, despite the law’s weakness being an obvious barrier to safe speaking up. Instead, she is tasked with promoting the government’s policy of soft culture change, and an unworkable model of internal whistleblowing champions who are supposed to hold their own employer to account. The mistreatment of the head of whistleblowing at Barclays bank is one of several examples that show why this government model is inherently ineffective. But then the political game on whistleblowing is to give the semblance of action, without taking any. Only public awareness and pressure from the public can move the situation forward. We are all at serious risk if workers do not have basic rights to free speech and cannot safely make public interest disclosures. Our hospitals, social services for the vulnerable, transport systems, agriculture, food industry, construction industry and other sectors cannot be safe if workers cannot speak up. If you would like to write to your MP about the vital need for fit for purpose whistleblowing law to protect the public, a template letter can be found here.